Today I am stepping outside the Everyday in May topic prompt list to talk about FishArt. If fly fishing isn’t part art form and science combined, then I don’t know what is. I hate the term warrior poet so I won’t point to it here- but I did find some interesting information. I was researching the Outdoor Blogger Network (OBN) and going thru some FAQs. I ended up looking at the directory of outdoor blogs. Click fishing blogs and there is an interesting number- almost 50% more fly fishing blogs to just fishing blogs. Because we think we are all warri, no I’m not saying it- we have a creative streak in us in addition to the outdoor drive. So we write about it, we draw the fish we catch and take pictures of them. I like this. I may not be any good at it- but it draws out something inside of me I almost once lost. As a kid there was nothing more I liked than to draw. In high school I was into photography. Somewhere along the road of life I let that go or thought I grew out of it. Maybe I thought it wasn’t any good or it wasn’t good enough. Now, I just don’t care. Now I pick up pen and paper, I shoot iPhone photos with iPad filters, and have this thing called a blog. So with this Everyday in May challenge, I challenge you do do something creative and something expressive. Reach way back into your tool kit bag and find that piece of you that you may have hidden away. Then share it because I bet it’s something special. 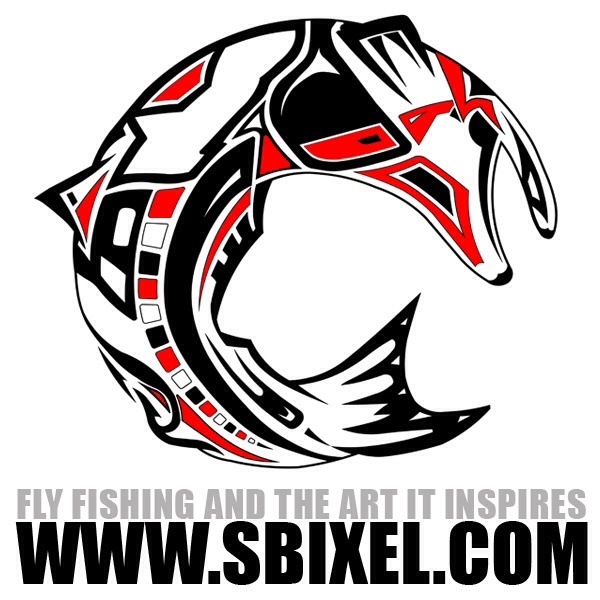 Click the FlyArt/FishArt categories on the “In the Scope” in the side bar to see my work. Good or not I’m proud of it and had fun. Thanks. Today’s topic of FishArt is a deviation of the Everyday in May challenge. For more info click here. For all AirborneAngler Everyday in May posts click here.